Savor the Taste of Real Food JUST FROZEN! Adding fruit and veggies to your plate is a good idea at any time of year. If you don’t like the selection and cost of fresh produce during the winter months, try frozen fruits and vegetables instead. They’re a cost-effective and convenient way to keep produce on-hand for a boost of nutrition in any dish. 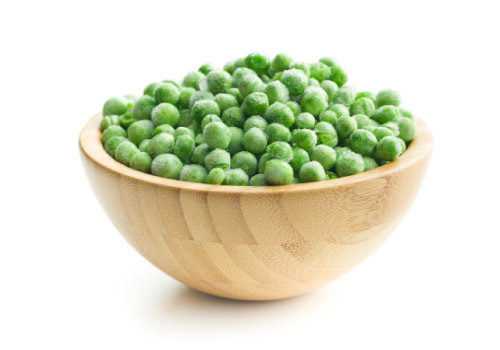 Items found in the freezer aisle are flash frozen at the peak of ripeness to maintain their high level of nutrients and freshness. Plus, they’re prepped and ready to use with no waste! Start with an 8-ounce container with a tight fitting lid, then fill e with plain or vanilla yogurt. Top with your favorite frozen fruit. Drizzle with honey and add a dash of cinnamon. Cover tightly with lid. 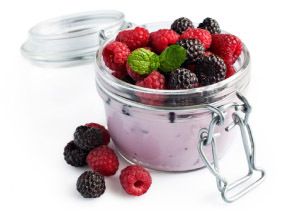 The frozen berries will keep your yogurt cool on your ride to work or school. 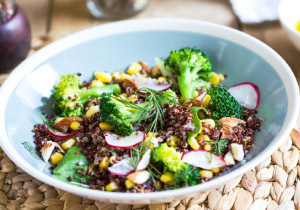 Enjoy a protein-packed dinner with a simple salad made with quinoa and mixed frozen vegetables. Prepare vegetables and quinoa according to package instructions. Drain vegetables well. Mix ingredients together with a tablespoon of extra virgin olive oil and a splash of white wine vinegar. Salt and pepper to taste and garnish with crumbled feta cheese if desired. 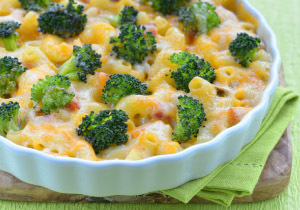 Add a boost of green to your favorite packaged mac & cheese with the addition of frozen broccoli florets. Cook the mac & cheese and broccoli according to package instructions. Drain broccoli well and stir into mac & cheese. To make it a complete one-dish meal, stir in diced reduced-sodium ham. In a large coffee mug, stir together 2 tablespoons almond flour, 1 tablespoon coconut flour, 1/4 cup thawed, frozen blueberries, 1/2 teaspoon vanilla extract, 3 tablespoons almond milk, 1 egg, 1 tablespoon honey, and a pinch of salt. Microwave for 2 minutes. Allow mug to cool for 2 minutes. 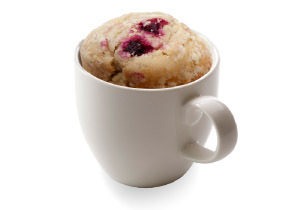 Eat muffin out of mug with a fork.